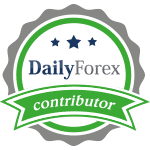 Define a forex strategy which you would like to follow. Take your time when you create your strategy and test it on paper before you execute it in your live PaxForex account. Define your exit strategy before you enter a trade and set your take profit levels as well as stop loss levels. Again, do these before you enter the trade as at this time you are emotionless and can think with a clear head. Execute your strategy as previously planned and do not adjust it after you entered your trade. You need to learn to stick with your strategy when trades go against you. Your profit is made when you enter your trade and not when you exit your trade. Regardless which strategy you decide to implement in your portfolio, keep the above pointers in mind and you should drastically reduce your learning curve and increase the success rate of your trades. Your portfolio will thank you for it. All of you who do not have a forex strategy yet should check out PaxForex Trading Recommendations as well as the 250 Pip-per-Week Journey.